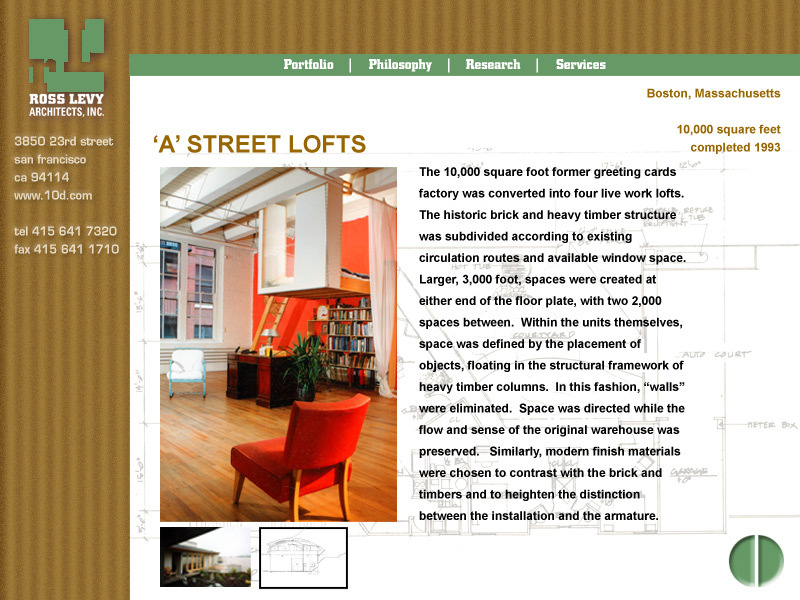 The site was designed for internal maintenance. 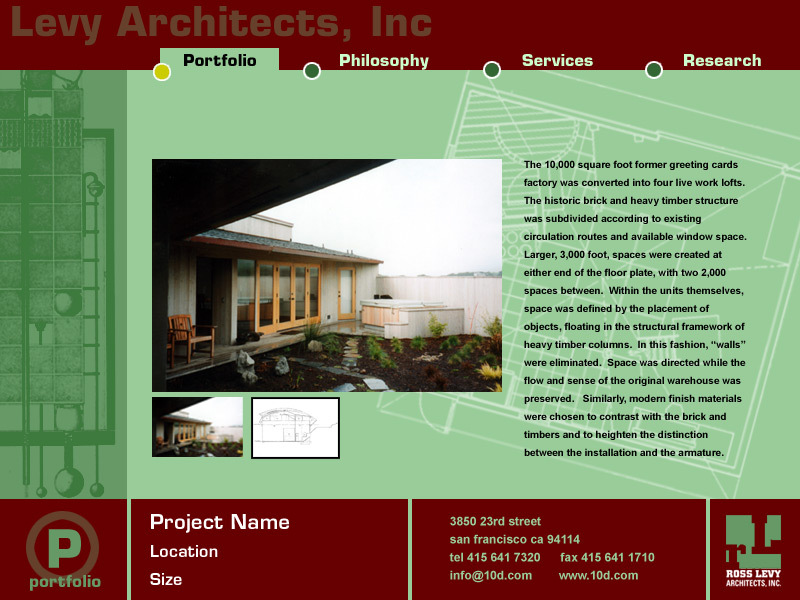 The designs are based on the Southern California Institute of Architecture (Sci-Arc) aesthetic that the client liked. I built the site and trained internal users for the regular upkeep of the site. 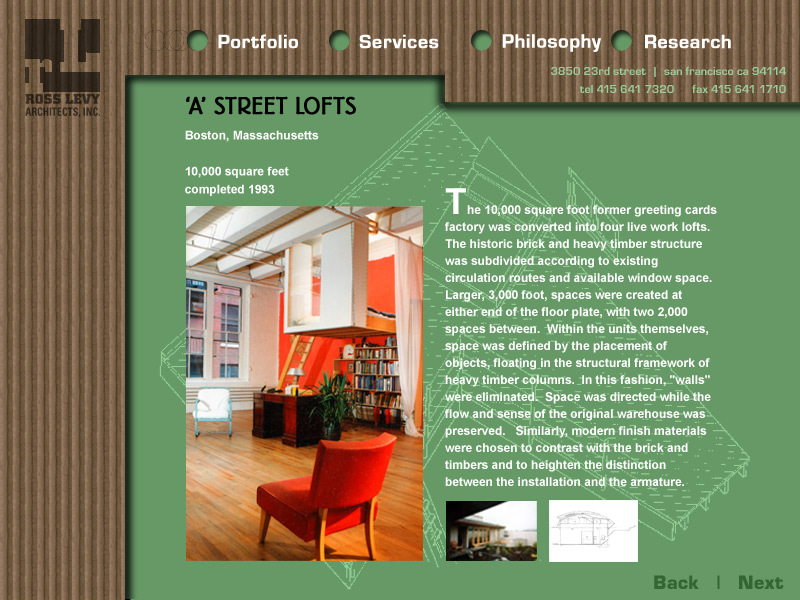 All pages were built statically on Dreamweaver templates. 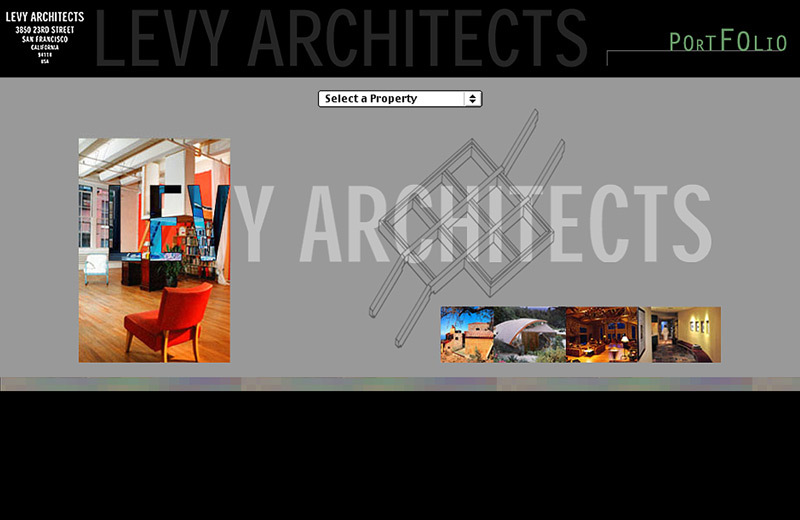 I’ve included design comps of the various iterations as an example my design process. 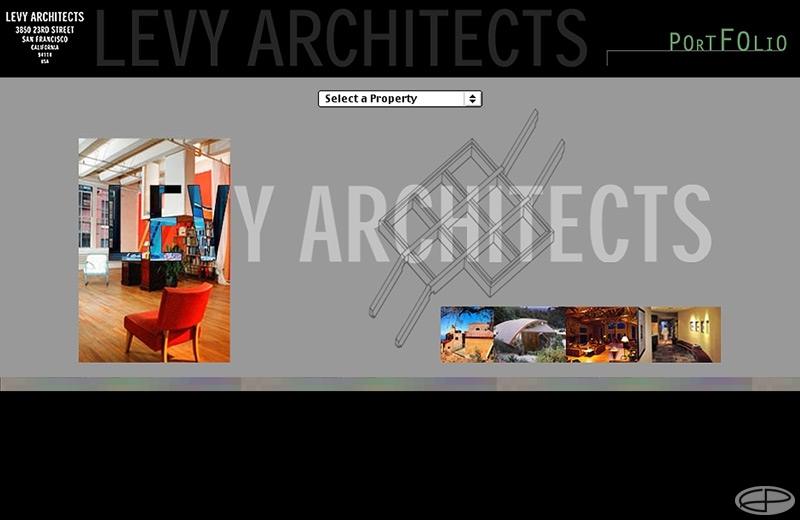 Levy is a proponent of green architecture which is reflected in the materials and colors I’ve selected.